Especially after finishing a long run, or a race, I treat myself with my favorite homemade SunButter cookies. SunButter has significantly more unsaturated fat, magnesium, and vitamin E than peanut butter and also double the amount of good fiber compared to its peanut-based counterpart. 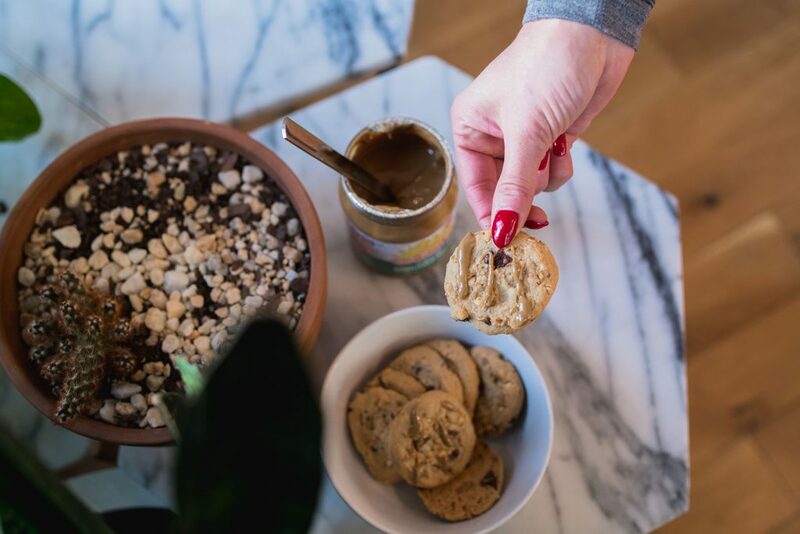 Today I want to share my favorite recipe where I’m using SunButter instead of peanut butter for the cookies. SunButter is a sunflower seed spread, made from GMO-free sunflower seeds. 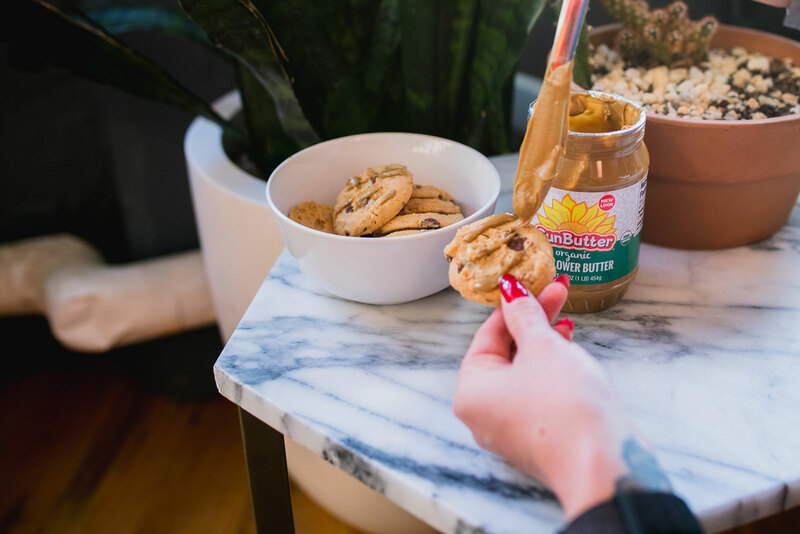 Did you know that SunButter has the same amount of protein as the leading brands of peanut butter, but it has less saturated fat, less sodium, less sugar, no trans fats, and more vitamin E, fiber, zinc, and iron? And on top of that, it really tastes amazing. 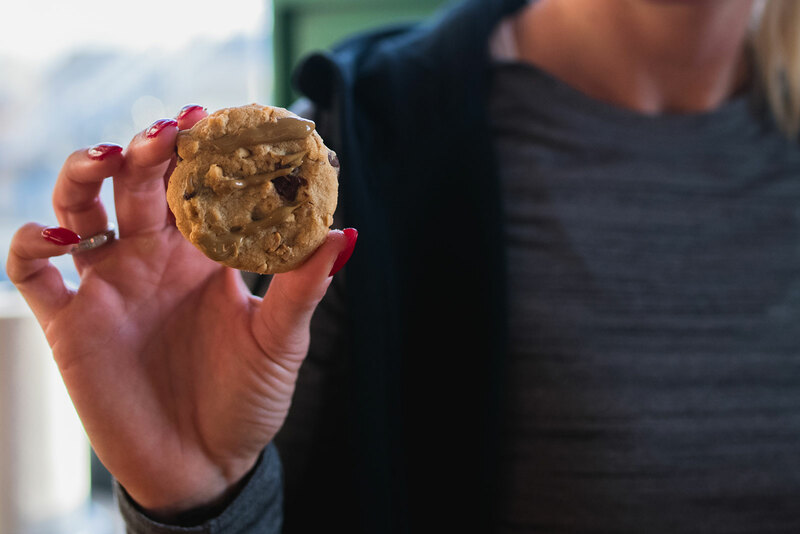 I’ve been using SunButter for a lot of different things like shakes or on top of my oatmeal but my SunButter Cookies are worth sharing the most. There are 5 different types of SunButter products: Natural, Creamy, Natural Crunch, No Sugar Added, and Organic. SunButter is free of the top 8 allergens (peanuts, tree nuts, milk, eggs, wheat, fish, shellfish, and soy), making it a safe, nutritious, and delicious substitute for peanut butter. A 2-teaspoon serving of SunButter boasts about 7 grams of protein, which is around 14 percent of your daily recommended intake. Baking powder and baking soda: This recipe calls for both. Butter: Two sticks, completely softened. Sugars: Both granulated (white) and brown sugar, plus extra for rolling the dough balls if you’d like. This recipe is pretty simple and the SunButter Cookies for runners are really easy to make. Prep your oven and cookie sheet. 350˚F and parchment paper. Combine dry ingredients. Whisk together flour, baking powder, baking soda, cornstarch and salt. Mix the wet ingredients. In an electric mixer fitted with the paddle attachment, beat together the softened butter, granulated sugar and brown sugar on medium speed until light and fluffy (about 2-3 minutes). Mix in SunButter until it is incorporated and smooth. Add vanilla and eggs, one at a time, scraping the bowl down after each addition. Add in the dry ingredients. Reduce mixer speed to low and slowly add dry ingredients until they are just incorporated and the batter is smooth, being careful not to over-mix. Form your dough balls. Form the dough into 1.5-tablespoon round balls and place on the prepared baking sheet. Press a criss-cross pattern into each dough ball with a fork to flatten slightly, being sure that each dough ball is at least 2 inches apart. Bake it for about 10-12 minutes, until the edges are golden brown and the centers are slightly puffy. Remove from the oven, and then transfer the cookies to a cooling rack to cool. Enjoy! Serve the SunButter Cookies warm, or store in a sealed container for up to 4 days. You can also freeze them for up to 3 months.